The Texas Education Agency has posted its plan for overhauling the way it educates students with disabilities — while highlighting the agency's limitations on available funds. 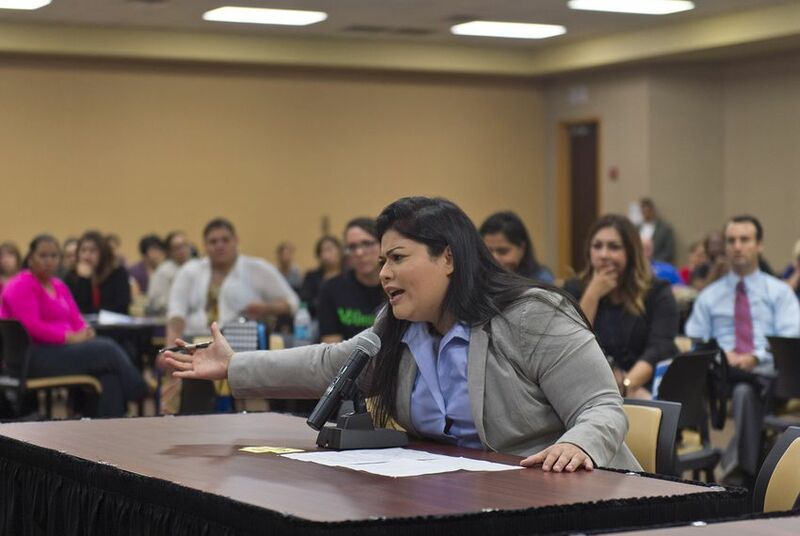 Editor's note: This story has been updated to note that the Texas Education Agency released its finalized plan on April 24 and is expected to submit it to the U.S. Department of Education. After gathering thousands of responses from parents and advocates, the Texas Education Agency has sketched a new plan for educating kids with disabilities — with limited money. Agency staff members held more than 100 focus group meetings across the state in February and collected thousands of electronic responses to get initial feedback on how special education should be revamped. The agency acknowledged it has been providing a smaller and smaller percentage of kids with federally funded special education services over the past 15 years, despite a stable national trend in special education rates. Without individualized academic support they are owed, the vast majority of Texas kids with special needs are on track to leave the public education system with subpar reading and math skills. The draft also acknowledged the TEA's inability to commit additional money without state and federal lawmakers' official approval. It projects paying for the plan in part by using discretionary federal funds provided to states for special education. Districts will also need extra money to serve students who have been left out of special education — parents are concerned nothing will change without a promise for more education funding. "TEA cannot legally commit additional funds outside of those that are appropriated by the Texas Legislature and the U.S. Congress," the draft reads. "This strategic plan has been designed so that it can be sustained with existing appropriations." The TEA also plans to contract out a long list of related projects to universities or private companies through a competitive bidding process, including targeted help for rural schools with small special education programs and limited resources. The state has tried and failed to overhaul special education in the past year. Last December, the TEA canceled a controversial contract with a Georgia-based company to mine data from students with special needs, after parents argued the agency had improperly awarded the contract without inviting others to bid. In January, the U.S. Department of Education demanded Texas require school districts to identify and provide special education services for students who need them as well as ensure school districts find students who may have been illegally denied evaluations for special education in past years. The federal government also told the TEA to create a plan for advising school employees across the state on how and when to provide kids with dyslexia with federally funded services. Create a new team to annually monitor some school districts on how they are educating kids with special needs and provide technical assistance to those that need it. Require school districts to immediately start to identify students who may have been left out of special education and have not yet graduated, and reach out to their parents to get them evaluated for federally funded services. The TEA will allocate $65 million to school districts to support this work. Help school districts properly train teachers on what federal and state law requires for educating students with special needs, in part through statewide professional development for all educators. Create a call center staffed by experts who can help parents navigate the process of figuring out what their kids with special needs require in order to learn. Contract out a long list of crucial services and projects to universities and state services centers, or private companies through a competitive bidding process. These contracts could be bid as soon as this summer. Texans can provide commentary on the draft, which will be finalized and submitted to the federal government by April 18.